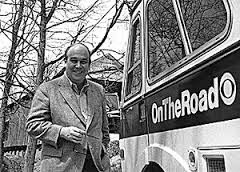 As a young AP news reporter in Ohio, I loved CBS’s On the Road with Charles Kuralt ... the quirky video stories that ended many of Walter Cronkite’s CBS Evening News shows. As a reporter, I envied Kuralt and his freedom to gather such stories. Later, as a public relations professional, I desperately wanted to “place” a story with Kuralt. I got close once. He did a radio show based on information a friend of mine and I gave him. I thought about storytelling and its impact on association membership and marketing. I thought about Kuralt and his quirky, humorous video stories as I read a piece on a Nieman Journalism lab research about the sharing of series versus fun stories at NPR. Why so serious? Maybe because data shows news stories can get shared just as often as lighter fare. Who is your association’s Charles Kuralt when it comes to finding really great stories among your members? These stories can create personality for your association as well as recognize engagement. Write a headline first — before you begin crafting your story. What’s the best way to convey the story? Imagine someone coming across your story online — what will make them take the next step to share it? Don’t ignore the story after it’s published. Kuralt was an awesome story teller. His compelling video stories set a great example for associations and others seeking to connect with and/or audiences.